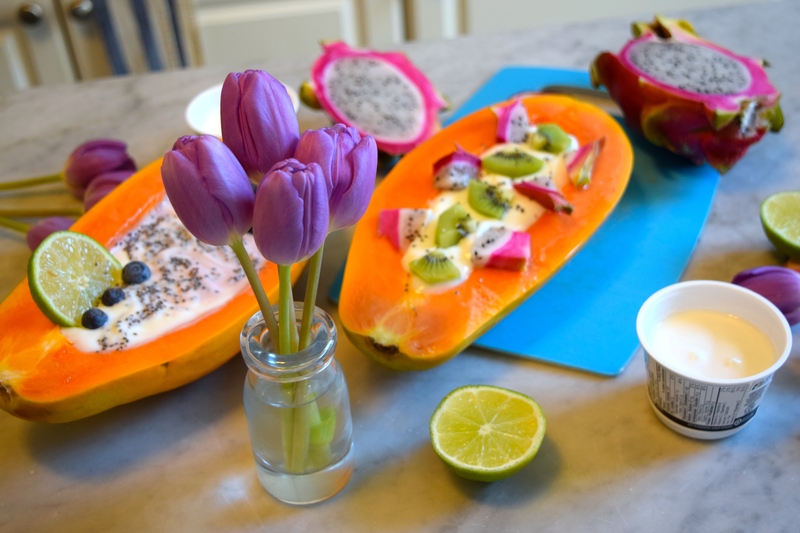 There is nothing that makes you salivate more than seeing vibrant tropical breakfast bowls all over your Pinterest board and Instagram newsfeed. But even better than that is making and enjoying a bowl of your own! 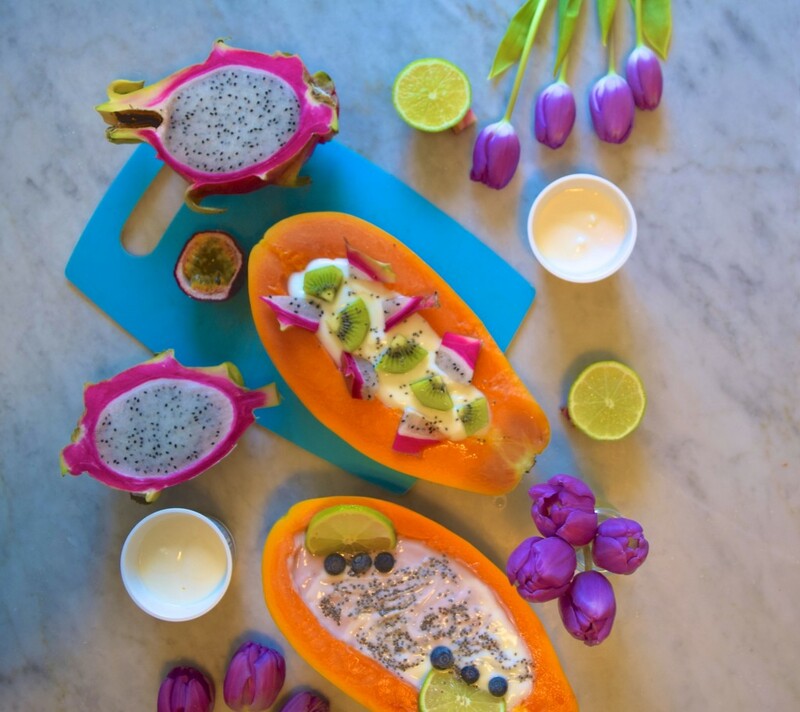 Not only are breakfast bowls a healthy and nutritious way to start the day, they are also incredibly photogenic, which means your Instagram grid is headed straight to #feedgoals after posting a pic of the dish. You can put pretty much anything in a breakfast bowl — from chia seeds and nuts to fruit and oatmeal. 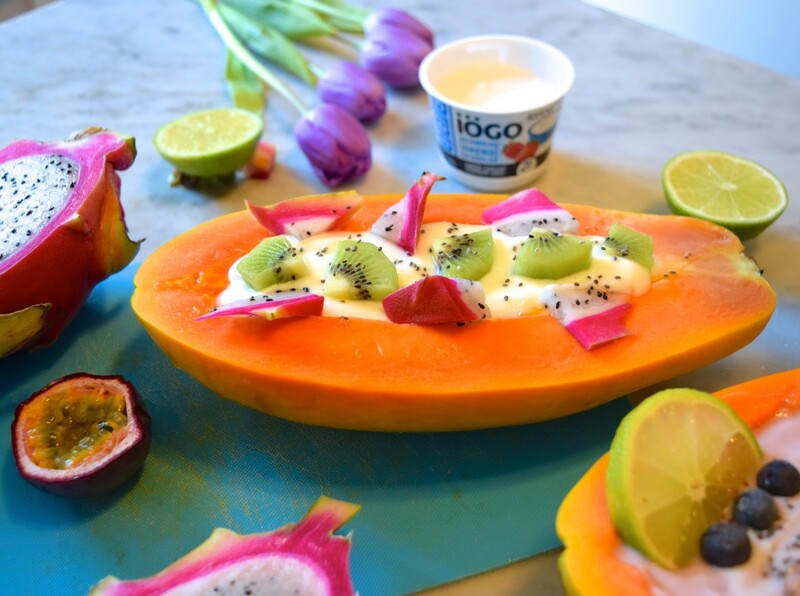 However above all, the one essential ingredient you need regardless of your toppings: iögo Probio Yogurt! 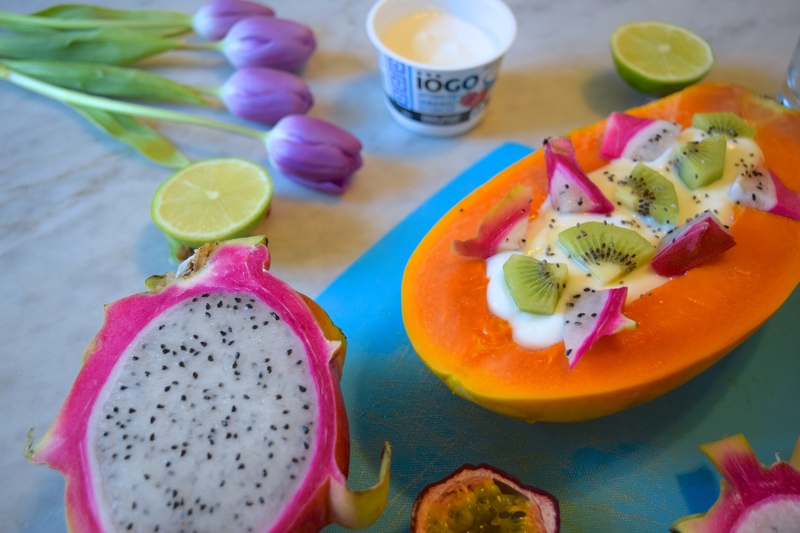 Now available in convenient resealable pouches, iögo is guaranteed to make your morning breakfast bowl brilliant no matter what you’re craving. 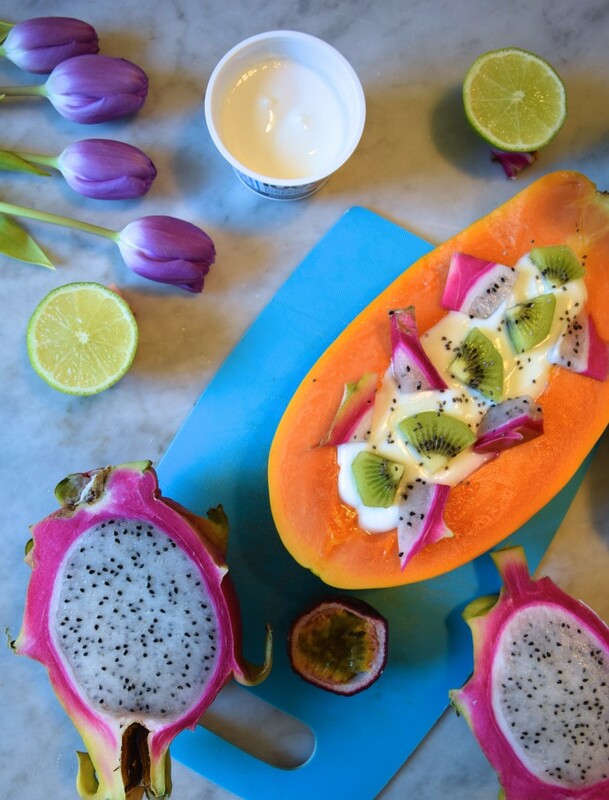 Lately, all I have been craving is a tropical vacation, but since a breakfast bowl is a million times more affordable than a one-way ticket to paradise, exotic yogurt treats have been my go-to. 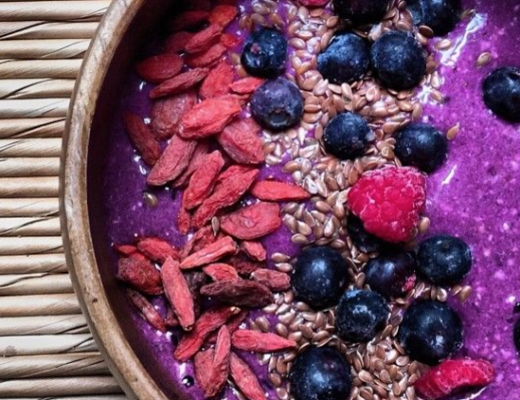 I’m sharing my favourite breakfast bowl recipe below! 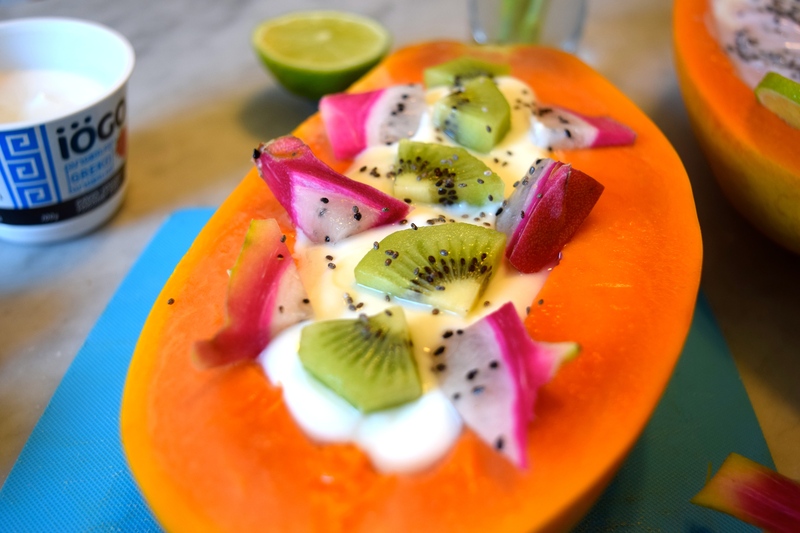 This recipe could not be easier, faster or healthier not to mention more fun. The tangy tropical flavours will definitely have you feeling ready to start your day the “Aloha” way!